When I was in high school, I was all set to jump into a career revolving around numbers, budgets and finance, but I learned that discovering new cultures through a different language was much more exciting, so I said goodbye to economics and hello to languages. My university years at Scuola Superiore di Lingue Moderne per Interpreti e Traduttori (SSLMIT) in Forlì (School of Interpreting and Translation, University of Bologna) allowed me to learn the basics of the trade, and work experience at a number of translation agencies introduced me to the profession in detail. I decided to start my own freelance business in 2011, and since then I have been working on translation, editing and proofreading, and transcreation projects from English and German into Italian. I always pay attention to detail in all aspects of my work. I am always ready to listen to customer requirements and provide helpful suggestions in order to ensure the final product is of excellent quality, and that the message is delivered to the target audience in the best possible way. I strongly believe in collaboration between colleagues and that’s why I decided, along with Chiara and Alba, to create the ASCforTranslation project because the union of different and complementary skills adds a lot of value to the customer, and for each of us too as professionals. 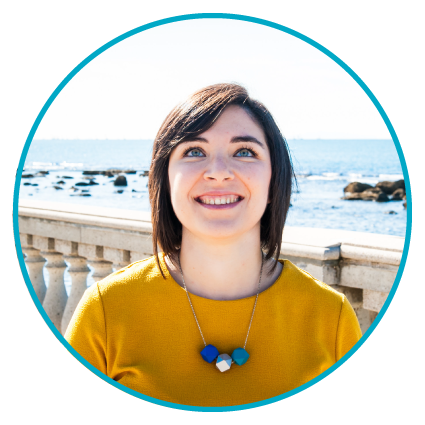 Within the group Chiara is definitely the professional who is more skilled in adjusting texts to match the correct style of the Italian language. I turn to her when I want to make a text even smoother and more appealing to the public. Alba’s strength, however, is undoubtedly in her competence and precision with regard to terminology and the ability to always find the most specific term used in a particular sector. My passion for languages ​is matched by my love for technology and everything that can be called geeky. I never leave home without my smartphone, and I just installed the latest app for effectively organising a freelancer’s life. 2007-2010: Master’s Degree in Translation for Special Purposes and Publishing at Scuola Superiore di Lingue Moderne per Interpreti e Traduttori (SSLMIT) in Forlì (School of Interpreting and Translation, University of Bologna). Languages: English, German (Grade: 110/110). 2006-2007: Two semesters at the Institut für Translationswissenschaft of the University of Innsbruck as part of the Erasmus programme. 2004-2007: Bachelor’s Degree in Translation and Liaison Interpreting at Scuola Superiore di Lingue Moderne per Interpreti e Traduttori (SSLMIT) in Forlì (School of Interpreting and Translation, University of Bologna). Languages: English, German (Grade: 106/110). 2004: High school diploma in Corporate Communications in Foreign Languages at Istituto Tecnico Statale C. Cattaneo (Technical Institute) in San Miniato (Pisa), Italy (Grade: 100/100). From 2011 onwards: Freelance translator, editor and proofreader from English and German into Italian for companies, private clients and Italian and foreign translation agencies. June 2010 – October 2011: In-house project manager, translator, editor and proofreader for a translation agency near Ravenna, Italy. March 2010 – May 2010: Trainee translator, editor and proofreader for a translation agency in Modena, Italy. October 2009 – March 2010: Trainee at the Terminology Coordination Service of the Directorate-General for Translation of the European Parliament in Luxembourg. Video Games: Translation of dialogues, system messages and presentations of MMORPG, multiplayer, casual games, and online games. I worked on the first Italian release and following updates of an internationally renowned fantasy MMORPG, among others. IT & Software: Software localisation, translation of user manuals, training material for the staff, marketing texts, and web content. I worked in a translation team for an important US multinational company that develops and sells operating systems, computers, and multimedia devices. Marketing & Advertising: Translation of press releases, content for websites, blogs and social media, advertising materials for telecommunications, technology and industrial companies. One of the end clients I worked for is a significant Swiss telecommunications company. Automotive: Translation of technical manuals, technical data sheets, training material for the staff and reviews of newly-released models. Translation of technical texts for a German multinational automotive company. Moreover, I have also worked in other fields, such as interior design, law, tourism and website localisation.